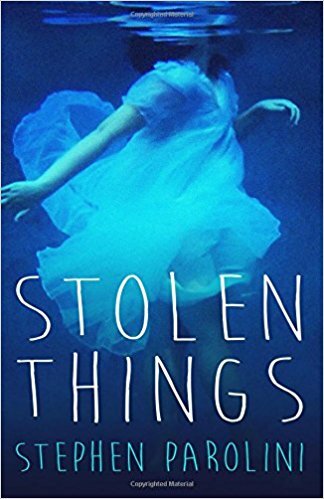 My teaser is from a novel I just finished reading, my book club's selection for this month, Stolen Things, by Stephen Parolini. The teaser comes from page 155, with Raspberry Lynette Granby, also known as Berry, comments on the sleeping arrangements at her aunt's house, where she and her dad are staying. Berry sleeps in the living room, near the bookcase. "'I like sleeping here,' Berry said. She turned to face the bookcase, ran her fingertips along the book spines like she was playing a harp. 'There's something about being close to books that makes me feel safe and unsafe at the same time.'"